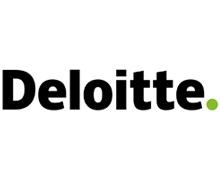 Through a network of securitization specialists encompassing more than 40 countries, Deloitte, in the U.S. and globally through the member firms of Deloitte Touche Tohmatsu Limited, has one of the largest groups of dedicated accounting, advisory and technology professionals in the world. 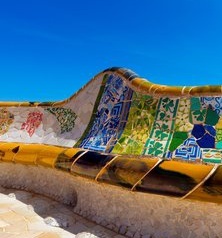 Deloitte's specialists have the industry experience and know-how to serve clients throughout the securitization life cycle from origination, pooling, and capital raising to servicing, reporting, and operations support. Deloitte appreciates that securitization is a highly complex and intricate process which affects all parts of your business. Our interdisciplinary approach in addressing the complexities of these subjects enables us to offer tailored services that apply to the specific conditions for, and directions of, each client. Working closely with you, and your other advisors, we are able to gain an understanding of your needs and your objectives from both a structural and business perspective. Deloitte is then able to help you shape the most appropriate innovation solutions to help address the administration, accounting, compliance, and surveillance demands of today's market. Understanding our clients' needs and responding to them quickly, with consistent, knowledgeable advice and strategic ideas is the cornerstone of our client service philosophy. It has made Deloitte a leading global provider of accounting related services to the securitization industry. RBC Capital Markets is recognized by the most significant corporations, institutional investors, asset managers, private equity firms, and governments around the globe as an innovative, trusted partner with an in-depth expertise in capital markets, banking, and finance. We are well-established in the largest, most mature capital markets across North America, Europe, and the Asia-Pacific region, which collectively encompass more than 75% of global investment banking activity each year. We are part of Royal Bank of Canada (RBC), a leading, diversified provider of financial services and one of the strongest banks globally. 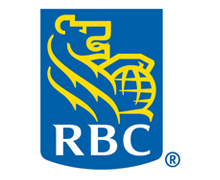 Founded in 1864, RBC is the 10th largest bank worldwide and the 5th in North America, as measured by market capitalization. RBC is among a small group of highly rated global banks and is recognized time and time again for its financial strength, market leadership and philanthropic work. Sidley’s CLO team, as part of our firm’s Global Finance group, is a market leader in the structuring, establishment, maintenance, refinancing and re-setting of CLOs. Our experts in structured finance, structured credit products and structured funds are at the forefront of today’s CLO 2.0/3.0 markets. Sidley provides multi-practice teams of lawyers who are among the most experienced practitioners in their fields. To mitigate a changing business and regulatory environment, we provide seasoned and experienced professionals that provide prompt, efficient and cost-effective service. Our CLO experience includes arbitrage and balance sheet CLO transactions involving leveraged corporate loans, middle-market loans, commercial real estate loans, emerging market non-sovereign loans, corporate bonds, infrastructure bonds and trust preferred securities. Sidley’s CLO team members have advised on a number of the market’s most innovative transactions in CLOs as well as in related interim financings and equity fund structures. In our CLO practice, we address issues relating to underlying asset classes and industries beyond financial services and structured finance. 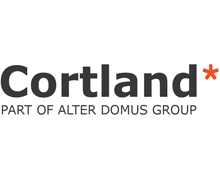 Our firm provides a uniquely comprehensive scale of legal advice in corporate and middle market leveraged lending, specialty finance, commercial real estate finance, derivatives, bankruptcy and financial regulation, as well as in securitization and structured finance, within the U.S. and in Europe and Asia. Sidley’s regulatory lawyers are experts in all aspects of the regulation of CLOs including, in the United States, the Investment Company Act, the Investment Advisors Act, the Volcker Rule, the Dodd-Frank Act and other relevant regulatory regimes. 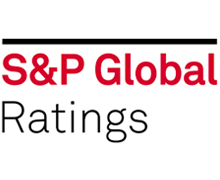 Clients identify Sidley's Global Finance group as a destination practice for high-value, complex financings across a broad spectrum of platforms, industries and asset types. Sidley's Global Finance lawyers have pioneered the development of financial instruments for the world's financial markets. As a thought leader, an innovator and one familiar with new asset classes and esoteric offerings, Sidley's Global Finance group offers a comprehensive range of lending and securitization services to clients around the world. 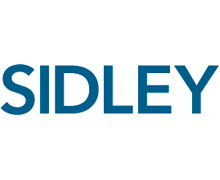 Lawyers in Sidley’s Global Finance group were at the forefront of the creation of many structured finance products: mortgage-backed securities in the 1970s; asset -backed securities and commercial paper conduits in the 1980s; commercial mortgage-backed securities conduits in the 1990s; collateralized debt obligations and structured investment vehicles in the 2000s; and the restructuring of distressed structured products following the Global Financial Crisis. Wells Fargo Securities delivers a comprehensive set of capital markets and advisory products and services, including public debt and equity origination and distribution, investment research, interest rate, commodity and equity risk hedging, mergers and acquisitions advice, prime services, structured lending facilities, foreign exchange services, and municipal bond origination. Wells Fargo Securities consists of nearly 5,000 team members in more than 40 offices across North America, Europe and Asia. Wells Fargo Securities is the trade name for the capital markets and investment banking services of Wells Fargo & Company and its subsidiaries, including Wells Fargo Securities, LLC, a member of NYSE, FINRA, NFA and SIPC, Wells Fargo Prime Services, LLC, a member of FINRA, NFA and SIPC and Wells Fargo Bank, National Association. 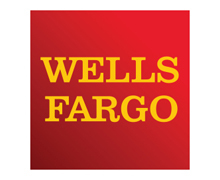 Wells Fargo Securities, LLC and Wells Fargo Prime Services, LLC are distinct entities from affiliated banks and thrifts. © 2019 Wells Fargo Securities, LLC. All rights reserved. Wells Fargo Corporate Trust Services provides a wide variety of trust and agency services in connection with debt securities issued by public and private corporations, government entities, and the banking and securities industries, including leveraged loan and securities financing facilities, collateralized loan obligations (CLOs), insurance and collateral trusts, mortgage asset services, asset-backed, municipal, corporate/high yield securities, business escrow and standalone custody. Through our client-centric service model, we fulfill the evolving needs of our clients by leveraging our industry expertise and the depth of Wells Fargo’s capabilities. For more information, visit wellsfargo.com/corporatetrust. 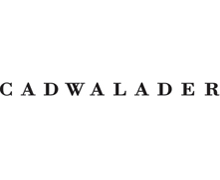 With more than 225 years of legal experience, Cadwalader serves a diverse client base, including many of the world's leading financial institutions, corporations and funds. We offer innovative legal representation in matters concerning antitrust, banking and finance, capital markets, corporate law, employee benefits and executive compensation, financial services and regulation, financial restructuring, fund finance, intellectual property, litigation, mergers and acquisitions, private equity, private wealth, real estate, securitization, structured finance, tax and white collar defense. Citi is a leading provider of structured credit products and solutions to clients globally. The CLO business is an important part of Citi’s Structured Credit franchise. Citi’s CLO business has been consistently ranked #1 in market share over the last ten years, over such time demonstrating an unwavering commitment to the business throughout challenging market environments. Citi commits significant resources to this business, including a dedicated global sales force and structured credit professionals in New York, London, Japan and Hong Kong. Citi’s integrated trading, financing, structuring and distribution capabilities ensure that its clients attain tailored and unparalleled service. Citi Agency and Trust is a leading provider of corporate trust services with a unique blend of experience, global reach and superior service. We offer a full range of agency, fiduciary, tender and exchange, loans agency and custody and depositary and escrow services in both established and emerging markets. Citi also offers comprehensive Onshore and Offshore Collateral Agent and Accounts Bank services. Clients are able to capitalize on Citi’s local and global market expertise and infrastructure. 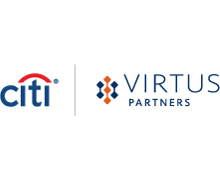 Virtus Partners, LLC is a premier provider of alternative investment administration services and operations outsourcing. Our Managed Services solution delivers front, middle and back office services, including Fund Administration, Loan Agency and Trade Settlements which can be customized and tailored to meet all of the individual needs of our clients. Virtus Partners LLC is headquartered in Houston, Texas and was founded in 2005. Currently, it has 300+ employees, across six offices in the U.S. and Europe, and has over $350BN in assets under administration for more than 100 global financial institutions. For more information, please visit www.virtusllc.com. Clifford Chance US LLP is a full-service firm with a global platform that allows it to combine top-quality US expertise with leading practices across jurisdictions worldwide, including key financial centers. 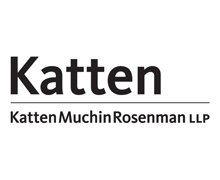 Working from offices in New York and Washington, DC, our lawyers focus on the core areas of commercial activity, including capital markets; corporate and M&A; banking and finance; real estate; tax, pensions and employment; and litigation and dispute resolution. Our US Structured Finance Group comprises more than 30 attorneys who specialize in structured finance, securitization, real estate and structured funds. The team earns top recognition for its ability to deliver cutting-edge solutions, and our collaborative approach ensures that we always put clients first. Our team is uniquely positioned to provide superior legal and business counsel, where and when our clients need it. PwC's Financial Markets practice is a global team of over 500 financial products specialists operating in over a dozen cities across the U.S. The team specializes in providing services along the full life cycle of a product. 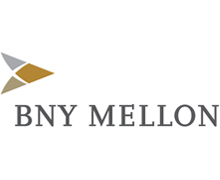 BNY Mellon is the premier provider of corporate trust services to the debt capital markets, providing customized and market driven solutions to investors, bondholders and lenders. From pre-issuance through maturity, BNY Mellon Corporate Trust offers access to resources, technology and solutions you need to readily execute your debt financing strategies. 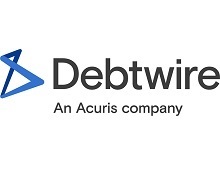 As one of the leading loan administrators, we support a wide range of CLOs, SMA and fund structures, as well as provide 3rd party Administrative Agent services. 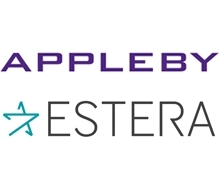 We deliver the full range of issuer and related investor services including trustee, collateral administration, issuing and paying agency, loan administration, account bank and cash manager, and other financial services within the structured finance industry. 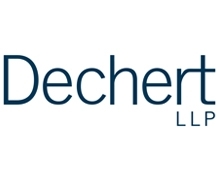 Dechert is a leading global law firm with 27 offices around the world. We advise on matters and transactions of the greatest complexity, bringing energy, creativity and efficient management of legal issues to deliver commercial and practical advice for clients. Dechert provides our clients access to a responsive, interdisciplinary, multi-jurisdictional team to address the complexities of modern finance transactions across categories and geographies. With more than 150 lawyers in the world’s major financial centers, Dechert’s internationally recognized global finance practice provides our clients with innovative deal structuring, creative financing strategies and efficient execution. Dechert lawyers understand the marketplace, as well as the rapidly evolving commercial and regulatory challenges, making us a preeminent advisor across geographies and a variety of financial products. Our global finance team advises on corporate finance, leveraged finance, real estate finance, structured finance and securitization matters. Dechert has a core team of professionals advising on the law, regulation, and practice of the development and execution of structured transactions, products and vehicles. We have a unique perspective on the business and legal issues of primary importance to all market participants. By tapping into the breadth of Dechert’s expertise – we deliver comprehensive solutions. Our global team is recognized as the very best in the industry because of the volume, size and complexity of the finance transactions we handle year-after-year. Dechert’s securitization team handles large, complex products and structured finance transactions involving a wide variety of asset classes, derivatives and complex structures. We represent a roster of high-profile clients, including bulge bracket banks, global asset managers, private investors and leading alternative financiers as issuers, underwriters and participants in structuring both traditional debt obligations and novel securities transactions. Jefferies, the world’s only independent full-service global investment banking firm, has served companies and investors for over 55 years. Headquartered in New York, with offices in over 30 cities around the world, the firm provides clients with capital markets and financial advisory services, institutional brokerage and securities research, as well as wealth management. 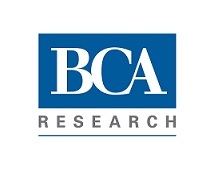 The firm provides research and execution services in equity, fixed income, and foreign exchange markets, as well as a full range of investment banking services including underwriting, mergers and acquisitions, restructuring and recapitalization, and other advisory services, with all businesses operating in the Americas, Europe and Asia. Jefferies Group LLC is a wholly-owned subsidiary of Jefferies Financial Group Inc. (NYSE: JEF), a diversified financial services company. Jefferies Group LLC’s principal operating subsidiaries are Jefferies LLC in the U.S., Jefferies International Limited in Europe and Jefferies Hong Kong Limited in Asia. Jefferies International Limited is authorized and regulated in the United Kingdom by the Financial Conduct Authority. 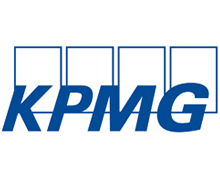 KPMG has a dedicated team of CLO professionals that specialize in meeting the CLO accounting requirements throughout the CLO lifecycle. Services include recomputation of warehouse reporting requirements, closing date cash flow modeling, effective date procedures, payment date calculations, PFIC tax services, valuation services, and redemption procedures. 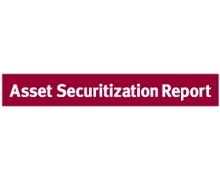 KPMG’s Securitization Practice stands ready to deliver enhanced services to meet your securitization needs. 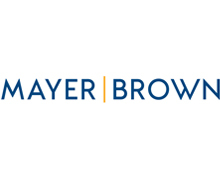 Mayer Brown is a distinctively global law firm, uniquely positioned to advise the world’s leading companies and financial institutions on their most complex deals and disputes. 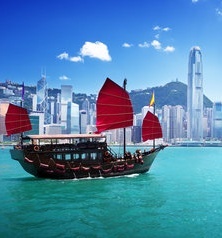 With extensive reach across four continents, we are the only integrated law firm in the world with approximately 200 lawyers in each of the world’s three largest financial centers—New York, London and Hong Kong—the backbone of the global economy. Mayer Brown’s Structured Finance practice is consistently ranked in the top tier by leading legal directories and is one of the most balanced in the industry, with genuine strengths across the entire range of vehicles and asset classes – from mortgage-backed securities, asset-backed commercial paper, credit cards, and auto/equipment loans and leases to IP assets, marketplace loans, renewable energy, whole businesses, and insurance-linked securities. We are leaders in not only ABS/MBS transactions but also in transactions privately funded by banks, hedge funds and asset-backed commercial conduits. Many of the structured finance transactions that are commonplace today were first initiated by lawyers at Mayer Brown – for example, the first CLO transaction in 1988 and the first ABS shelf registration in 1992. 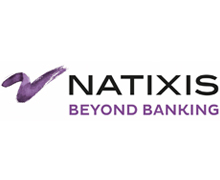 Natixis is a French multinational financial services firm specialized in asset & wealth management, corporate & investment banking, insurance and payments. 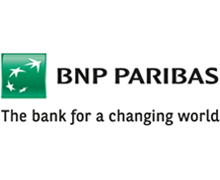 A subsidiary of Groupe BPCE, the second-largest banking group in France through its two retail banking networks, Banque Populaire and Caisse d’Epargne, Natixis counts nearly 16,000 employees across 38 countries. Its clients include corporations, financial institutions, sovereign and supranational organizations, as well as the customers of Groupe BPCE’s networks. Listed on the Paris stock exchange, Natixis has a solid financial base with a CET1 capital under Basel 3(1) of €11.8 billion, a Basel 3 CET1 Ratio(1) of 10.8 % and quality long-term ratings (Standard & Poor’s: A+ / Moody’s: A1 / Fitch Ratings: A+). (1) Based on CRR-CRD4 rules as reported on June 26, 2013, including the Danish compromise - without phase-in . Paul Hastings is a leading global law firm with a strong presence throughout Asia, Europe, Latin America, and the U.S. The firm has been ranked among the Top 10 on The American Lawyer’s A-List of the most successful law firms in the U.S. seven years in a row. During 2018, Paul Hastings received many accolades and awards for their innovative legal advice, including “Finance Team of the Year” at The Lawyer Awards, “Top Global CLO Counsel” from Creditflux, “European Law Firm of the Year – Transactions” at the PERE Awards, “Law Firm of the Year – Transactions” at the European Property Investor Awards, and “Structured Finance & Securitisation Deal of the Year” at the International Financial Law Review Awards. Our lawyers provide innovative legal solutions to many of the world’s top financial institutions and Fortune 500 companies. 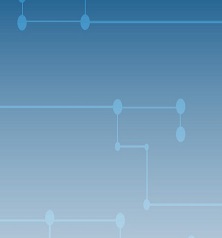 We offer a complete portfolio of services to support our clients’ complex, often mission-critical needs—from structuring first-of-their-kind transactions to resolving complicated disputes to providing the savvy legal counsel that keeps business moving forward. Our global corporate trust team offers expert guidance and flexible solutions to private and public companies, government and tax-exempt entities, and financial institutions. In a world of complex financial transactions, it is important to find a financially sound and reliable partner who understands and responds to your needs. Our structured finance and CDO professionals are dedicated to supporting your growing business. Firm description: Mitsubishi UFJ Financial Group, Inc. (MUFG) is one of the world’s leading financial groups. Headquartered in Tokyo and with approximately 360 years of history, MUFG has a global network with over 1,800 offices in more than 50 countries. 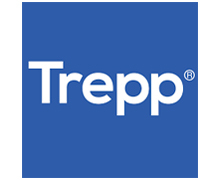 The Group has over 160,000 employees, and offers services including commercial banking, trust banking, securities, credit cards, consumer finance, asset management, and leasing. The group’s operating companies include Bank of Tokyo-Mitsubishi UFJ, Mitsubishi UFJ Trust and Banking Corporation (Japan’s leading trust bank), and Mitsubishi UFJ Securities Holdings Co., Ltd., one of Japan’s largest securities firms. MUFG Securities offers a comprehensive product suite to clients around the world through five key business lines in the primary and secondary markets: capital markets, credit, rates, equities, and structured products. Through close partnerships among our operating companies, the group aims to “be the world’s most trusted financial group”, flexibly responding to all of the financial needs of our customers, serving society, and fostering shared and sustainable growth for a better world. MUFG’s shares trade on the Tokyo, Nagoya, and New York (NYSE: MTU) stock exchanges. 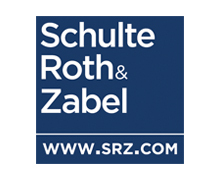 THE RIGHT FOCUS Many know Schulte Roth & Zabel as the market-leading law firm in the alternative investment area. We helped pioneer the hedge fund industry nearly 50 years ago, and today the world’s top hedge funds turn to SRZ more than any other law firm. We focus on delivering best-in-class counsel, seeing complex matters through to the end, and taking on uncommon challenges — and succeeding. COLLABORATION As an AmLaw 100 firm and one of the leading law firms serving the financial services industry, we serve our clients from strategically located offices in New York, London and Washington, D.C. We regularly advise on corporate and transactional matters, as well as provide counsel on regulatory, compliance, enforcement and investigative issues. We take a cross-disciplinary approach to client service by employing the expertise of multiple practice groups. INNOVATION Our practices evolve in direct response to clients’ needs and demands. We are recognized for our ability to develop cutting-edge solutions for our clients’ most complex legal and business challenges. RESULTS A one-size-fits-all strategy is never an option. We focus on long-term results and provide creative and tailored solutions that are targeted to our clients’ businesses and industries. Disclaimer: The contents of these materials may constitute attorney advertising under the regulations of various jurisdictions. 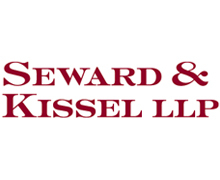 Seward & Kissel, founded in 1890, is a leading U.S. law firm with an international reputation for excellence. 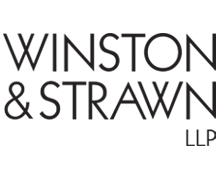 We have offices in New York City and Washington, D.C.
Our practice primarily focuses on corporate and litigation work for clients seeking legal expertise in the financial services, corporate finance and capital markets areas. The Firm is particularly well known for its representation of major commercial banks, investment banking firms, investment advisers and related investment funds (including mutual funds and hedge funds), broker-dealers, institutional investors and transportation companies (particularly in the shipping area). 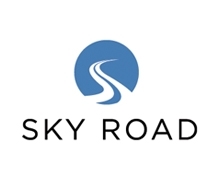 Sky Road provides automation and machine learning based decision support portfolio management solutions for Asset Managers. Powered by Sky Road software and our innovative AI lab, our fully customizable managed service solutions give asset management firms the automation, insights and intelligence they need to drive alpha and operational efficiency. Clients consist of leading fixed income alternative asset management firms who trade multi-strategy portfolios in structured credit, loans, CLO and distressed debt. 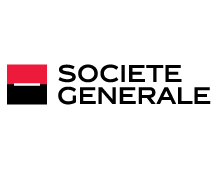 At the core of Societe Generale’s universal banking business model, the Corporate & Investment Bank is a well-diversified and leading player with more than 12,000 professionals and a commercial offer in 37 countries with extensive European coverage and representative offices in Central and Eastern Europe, the Middle East, Africa, the Americas and the Asia-Pacific region. Supporting its clients across various sectors, the Corporate & Investment Bank offers bespoke financial solutions combining innovation, advisory services and high execution quality in four areas of expertise: investment banking, financing, market activities and investor services. For Corporates, Financial Institutions, Sovereigns and the Public Sector: providing strategic advice (M&A, debt, capital structure, and asset & liability management), as well as providing capital market access to finance projects and providing hedging solutions especially in foreign exchange and rate. 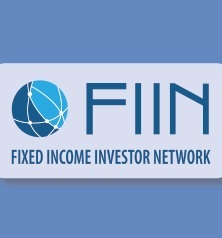 For Investors: offering reliable and sound investment opportunities and risk management solutions through its integrated global markets platform delivering seamless access to markets (equity, rates, credit, currencies, commodities and derivatives), as well as advice and solid financial engineering, quality of execution and forward-looking research across asset classes. For more information, visit www.cib.societegenerale.com. 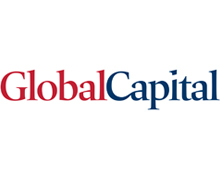 Wilmington Trust Global Capital Markets is a leading corporate trust and agency service provider serving on some of the most complex transactions. 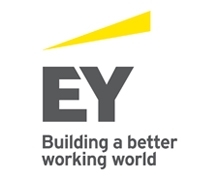 Our expertise spans clients in 90 countries, from offices in the world’s key jurisdictions. Learn more about our team and services at www.wilmingtontrust.com. We are pleased to introduce you to our joint team at the IMN CLO conference in May 2019. At ClearStructure Financial Technology, we offer cloud-based systems for the buy-side market. Our Sentry solution suite helps simplify your investment management while delivering total transparency. Our portfolio management system, Sentry PM™, is a front-to-back office system which tracks all types of investments from idea to trade to management and administration. Sentry's robust yet flexible functionality includes compliance, a comprehensive data warehouse, performance & attribution, NAV calculator, auto reconciliation, reporting and much more. Our modular approach ensures you only take the features you need, and can add functionality as required. Sentry PM handles multiple asset types and fund structures including Hedge Funds, Direct Lending, SMAs and CLOs. Sentry solutions are used by top financial institutions around the world for their management needs. For more information visit: www.clearstructure.com. 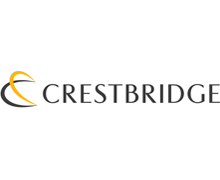 Crestbridge is independent in structure and spirit. We provide global administration, trustee, accounting, management and governance solutions that are shaped to our clients’ needs wherever they do business Because success matters. 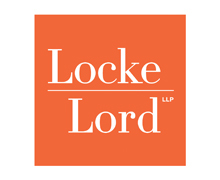 Locke Lord is one of few American law firms for which the representation of corporate trustees is a primary practice area. Our skilled and experienced team of lawyers provides a full range of services to corporate trustees across the spectrum of corporate trust transactions and activities (including but not limited to trustees, custodians, collateral agents and escrow agents). Firm lawyers are not only knowledgeable about the primary and tangential legal issues and considerations involved, but also have a broad understanding of corporate trust transactions and the latest developments in the legal, administrative and transactional environment in which corporate trustees participate. 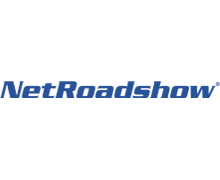 NetRoadshow provides U.S. Securities & Exchange Commission compliant solutions for the Securitized markets . Our online roadshow offering, data room services, secure document distribution and conference calling systems, along with 24x7 customer service, provide our clients with a cost effective and timely solution. 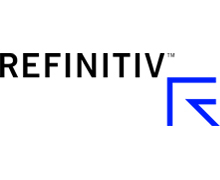 LPC from Refinitiv (formerly the Financial & Risk division of Thomson Reuters) is the premier global provider of information on the syndicated loan and high yield bond markets. Our first-to-the-market news and comprehensive real-time and historic data help you stay informed about market trends and facilitate trading and investment decisions. With field offices around the world, we are the one source for comprehensive coverage of the global syndicated loan markets worldwide. Our publications, online news, interactive databases, analysis and valuation services are used daily by banks, asset managers, law firms, regulators, corporations and others to drive valuation, syndication, trading, and research and portfolio management activities. 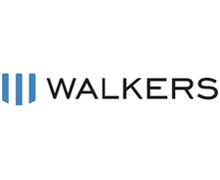 Walkers and Walkers Fiduciary Services support asset managers, arranging banks, sponsors and investors on all aspects of their structured transactions through one integrated legal and fiduciary business. 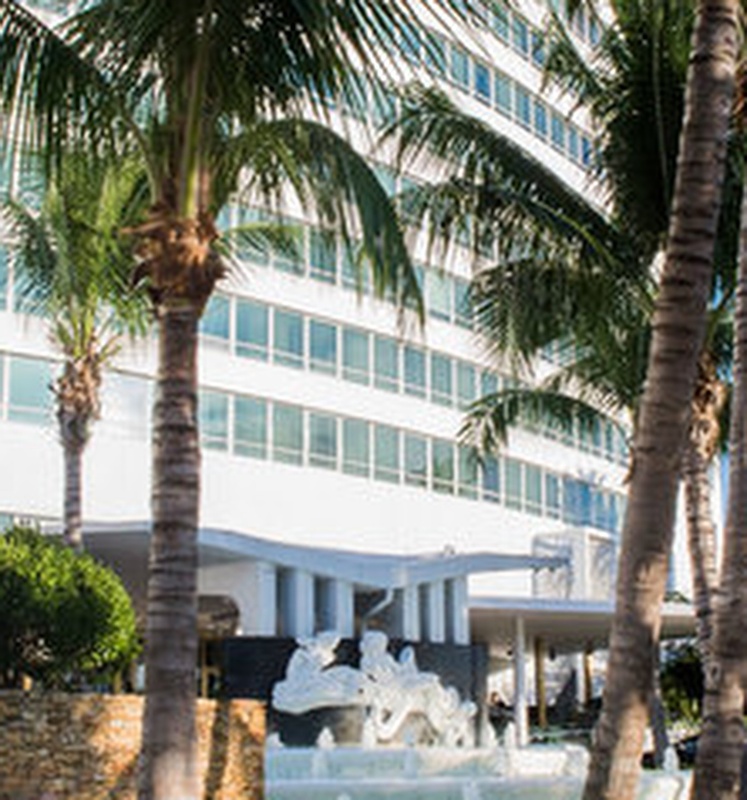 We have been active in the securitisation and structured products market since Cayman issuers were first employed, and so can offer clients depth of experience working on all types of CLOs and CDOs, including commercial real estate structures, broadly syndicated and middle market CLOs, TruPS, CBOs and aircraft securitisations. Our legal team is recognised as a leader by clients, peers and partners in the legal, financial and asset management industries. Our directors are experienced, well-informed and financially sophisticated, many with onshore experience in the sectors they support, enabling us to provide a meaningful contribution and a sure hand when important decisions need to be taken. 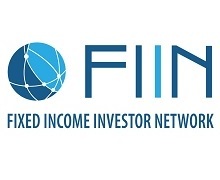 The Fixed Income Investor Network (FIIN) is an investor focused coalition of market participants committed to promoting a well-functioning, transparent and liquid marketplace for all its participants.